We all know that it can be absolutely brutal to exit the beauty of Sunday and the weekend, and that Mondays can absolutely drain our enthusiasm for the rest of the week. Nothing treats these so-called Monday scaries than a good old-fashioned blockbuster film, so I decided to compile a list of five excellent movies to get you jacked for the week. In this movie, we get to see prime Bradley Cooper and prime J Law navigate the ups and downs of mental health and recovering from relationships. Cooper’s character brings a certain level of energy that is rarely matched in Hollywood today, and it is bound to amp you up for the rest of the day. The movie also has a very righteous message about recovery and finding the silver lining in tough situations. Without a doubt this movie gets a solid 9/10 from Wyatt Harris Reviews. 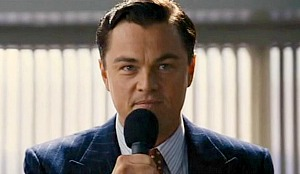 In this Martin Scorsese biopiece, Leonardo DiCaprio plays corrupt stockbroker Jordan Belfort who through suspect operations became one of the most infamous stockbrokers on Wall Street. Although lacking integrity, the die-hard attitude and relentlessness of Belfort is certain to get you pumped up and inspired to knock the rest of your week out of the park. This flick has earned a 9.1/10 by Wyatt Harris Reviews. Jake Gyllenhaal is this generation’s greatest actor and is definitely top five all time. From Brokeback Mountain, Prisoners, all the way to Southpaw, Gyllenhaal has shown his ability to be a human chameleon so to speak and morph into any character he pleases. If seeing him on the silver screen doesn’t get you fired up to be the best person you can be, I really don’t know what to tell you. After writing this paragraph I had to do 50 pushups because I was so inspired by his upcoming role in Spiderman Far From Home. This may seem a little biased, but the Marvel Cinematic universe is chock full of 20+ movies and they’re almost all absolute gems. I get so amped and inspired by these fictional characters and I love to see their progression throughout the universe. If you don’t care about the storyline (you’re weird) you should find a character or group that you identify with and watch them to get truly inspired. Personally, I love the storyline, but watching Spider Man Homecoming gets me stoked to be a better more righteous me, while movies like the Iron Man trilogy get me psyched to be more confident and intelligent.